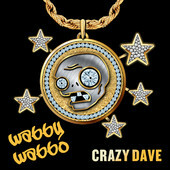 UK residents can own a digital copy of Crazy Dave "rapping" and help out some kids. PopCap isn't letting that $750k price tag go to its head. The crew over in Seattle might now be a part of Electronic Arts, but the quirky gaming company hasn't lost any of its character. Case in point is the weird music video released earlier this year with Plants Vs. Zombies's Crazy Dave - he who wears a magnificent beard, a stove pot on his head and the nickname Cray-Z with equal alacrity - emitting some kind of sounds from his animated lips that might resemble a song. Now, those of you from the U.K. can purchase the audio-only track "Wabby Wabbo" from iTunes and PopCap will donate a portion of the proceeds to Concern Worldwide. Concern Worldwide is "the poorest people in the poorest countries of the world" and aims "to enable them to transform their lives." That sounds very noble, and if that means downloading "Wabbo Wabby" for 79p - 55p of which will go to ending world hunger - then sign me up for some auto-tuned zombie backup singers and a yodeling solo. Yeah, I need to watch that video again. This is going to be in my head all day. For now, it looks like this promotion is only running on the UK site of iTunes, but we'll keep a look out if a similar promotion pops up for other territories.